Segway Guests near the Fish Fry. 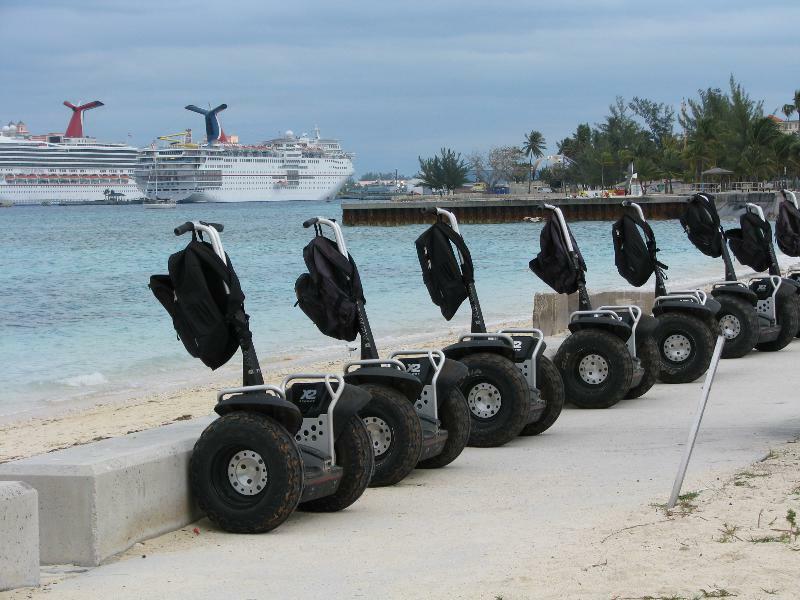 Segway glide along the walkways lining Nassau Harbour, while exploring Nassau's spectacular blue waters and beaches. Your Segway Excursion Tour starts two (2) miles from the Cruise Ship Port. You will be assigned your personal Segway, meet your tour guide, and receive a brief orientation and training on segway use and safety. Whether younger or older, you will be amazed at how easy it is to master the segway. 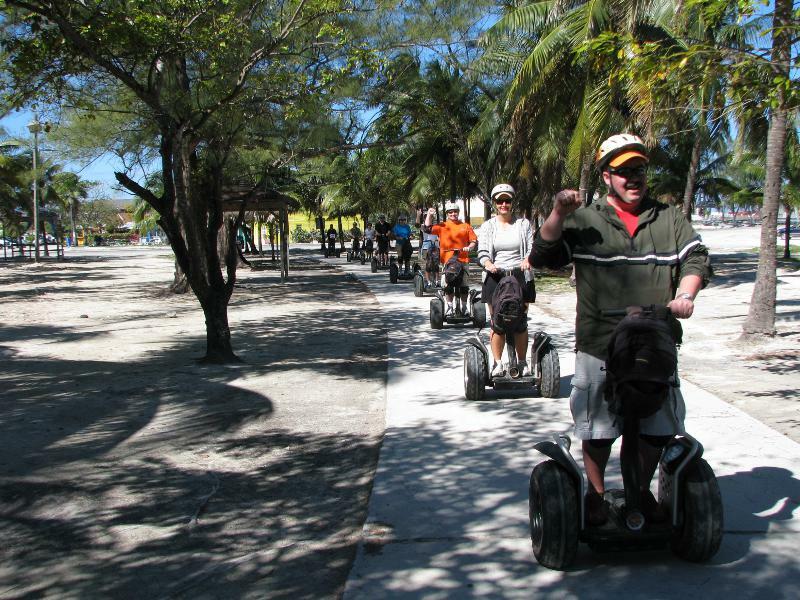 Segwaying is a one of a kind experience, which you will discover while traveling through scenic Nassau Harbor, and the tintilating sights and sounds of the colorful and vibrant collection of local restaurants and bars at the World Famos Fish Fry. You may appease your pallette or grab a refreshment with the delights of the Fish Fry (refreshments are not included in the price). Your new found segway skills will be apparent as you enjoy some good natured competition with the other segway guests on a low-speed activities course. Enjoy the sights of Historic Nassau, and white sandy beaches as you return to segway home base. Segway Excursion Tour times are based on availability. Tours have a ninety (90) minutes duration. Minimum Age 10 years, Maximum weight 275 lbs. Take the tour during rain or Sunshine (rain coats are provided). Must be able to stand for duration of the tour.